Xiaomi has made the Mi A2 and Mi A2 Lite official at a Madrid event today. The European launch of the Mi A2 signals the arrival of the Chinese smartphone maker on the global arena and the Mi A2 looks to build upon the success of its predecessor. These new Android One smartphones will soon launch in 40 markets worldwide. Xiaomi is eyeing the world with the launch of the Mi A2 and Mi A2 Lite in Madrid, Spain today. 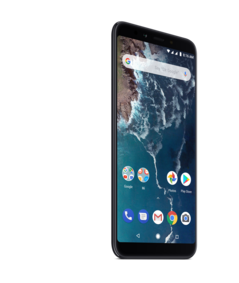 The Android One smartphones are successors to the Mi A1 that launched last year to great reviews. 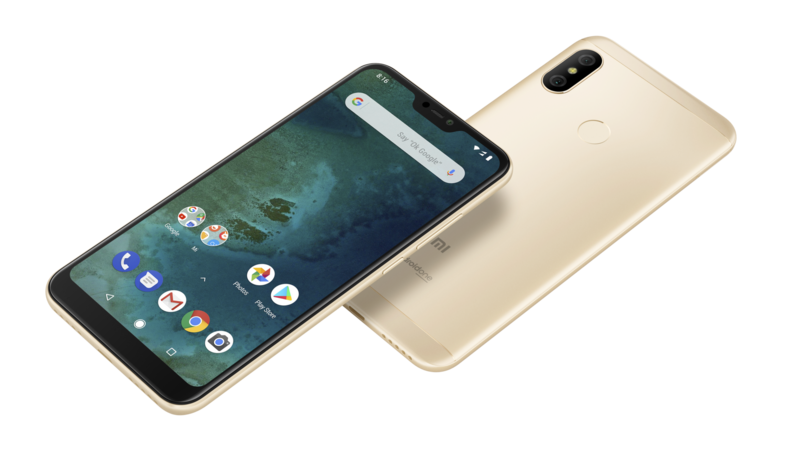 With the Mi A2 and Mi A2 Lite, Xiaomi is continuing its patronage for Google's Android One program while still offering great hardware. 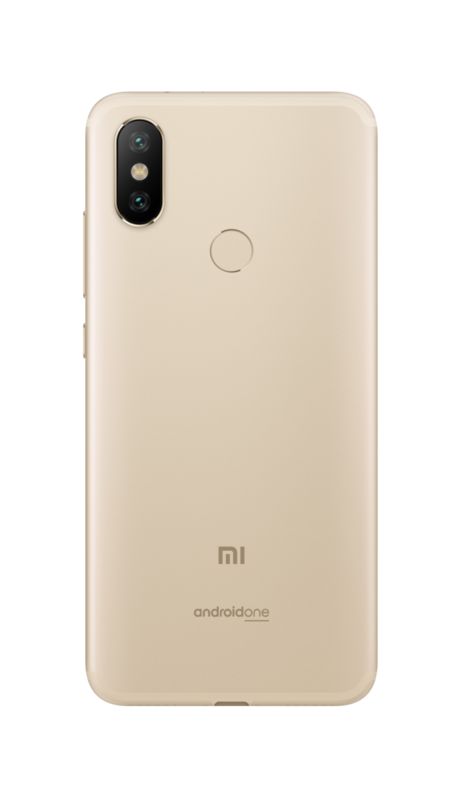 The second generation Xiaomi Android One phones have received significant upgrades but still are easy on the wallet and available in many more markets than its predecessor so let's check them out. The Mi A2 sports an aluminum body and feels instantly familiar to users of the Mi A1 including the placement of the fingerprint sensor and dual rear cameras. The most noticeable difference is seen in the FHD+ 5.99-inch display, which now sports an 18:9 tall aspect ratio with thin side bezels inline with 2018 trends. The Mi A2 also foregoes hardware navigation buttons in favor of onscreen ones. The onscreen navigation can be hidden if the entire screen estate is desired. 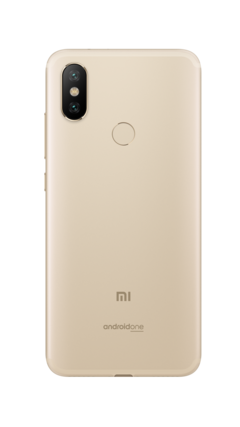 The rear houses a 12 MP + 20 MP dual camera setup with an LED flash in between, which is a significant upgrade from the Mi A1. The camera bump is predominant so a case might be required to lay the phone fully flat. The 12 MP Sony IMX486 acts as the primary sensor while the 20 MP Sony IMX376 is the secondary sensor for depth effects. Both the rear sensors feature an f/1.75 aperture for better low-light performance. The secondary 20 MP rear cam can also do pixel binning for high sensitivity in low light. The same 20 MP IMX376 sensor and pixel binning is used in the front facing camera as well. The Mi A2 is powered by the Qualcomm Snapdragon 660, which is an excellent midrange performer. The 3,000 mAh battery complements the power efficient chip and together with support for Quick Charge 3.0, should help sail through the day. Xiaomi doesn't bundle a fast charger in the box, though. The 3.5mm headphone jack bids goodbye but a USB-C-to-3.5mm adapter is provided to make up for it. 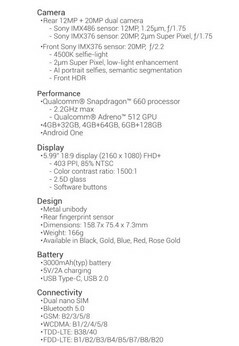 The Mi A2 is an Android One phone and it runs on stock Android 8.1 Oreo with 2 years of promised feature updates and regular security updates. 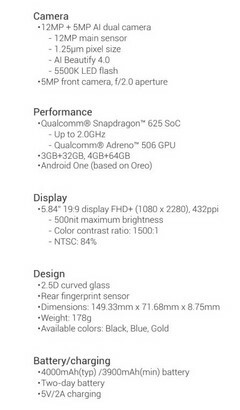 However, it remains to be seen how well Xiaomi honors this as the Mi A1 had delays in getting the Android Oreo update. Just like the Mi A1, the Mi A2 comes with a lean install with the only OEM apps being Mi Remote and Mi File Manager. Apart from the fingerprint sensor, the Mi A2 also supports Face Unlock. The Mi A2 will be available in 40 markets across Europe, Asia Pacific, Middle East & Africa, and the Americas. 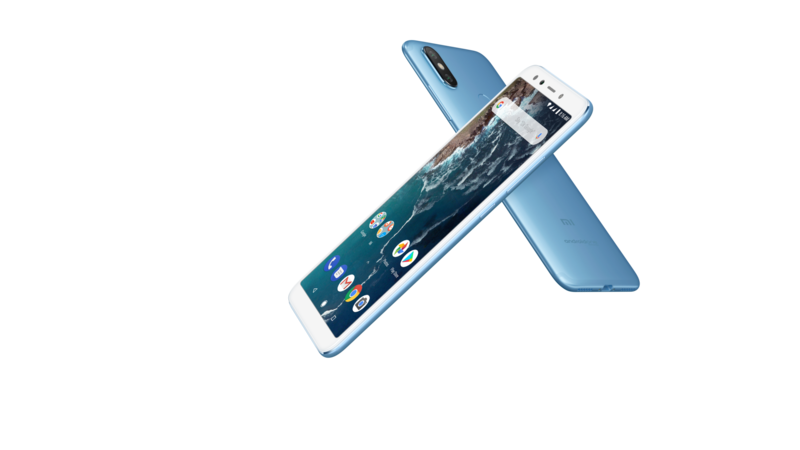 France will be the first to get the phone on July 27, followed by Italy on August 8, and Spain on August 10. In the Spanish market, prices start from €250 for the 4 GB/32 GB variant, €280 for the 4 GB/64 GB variant and tops at €350 for the 6 GB/128 GB variant. The Mi A2 Lite is more or less a rehashed Mi A1 and sports the same time-tested Qualcomm Snapdragon 625 SoC. The hallmark of the Mi A2 Lite is the display, which is a 19:9 FHD+ 5.84-inch screen. 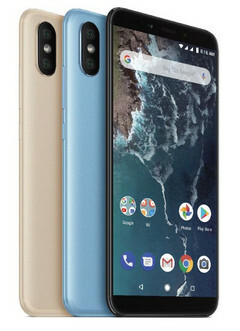 The 19:9 screen means that the phone sports the controversial notch, which is a first for an Android One phone. The rear has a dual 12 MP + 5MP setup with some AI thrown in for good looking portraits. The selfie shooter is a 5 MP sensor with an f/2.0 aperture. Xiaomi says the Mi A2 Lite can cruise happily for 2 days under normal use due to the highly energy efficient Snapdragon 625 chip coupled to the huge 4,000 mAh battery. 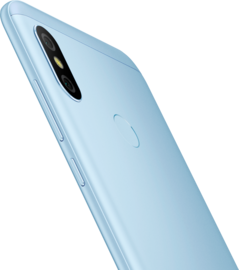 Unlike its sibling, the Mi A2 Lite comes with a standard microUSB port but can take both dual SIMs and a microSD card at once. Luckily, a 3.5mm audio jack is present for those concerned about it. The Mi A2 Lite shares the same launch dates and global availability as the Mi A2. Prices start from €180 for the 3 GB/32 GB version and top at €230 for the 4 GB/64 GB version.